On Friday the 29th of June we'll have an all day drop in centre for Drools & jBPM. We'll be having an all day team meeting and codeathon which will be open to the public. You can come along and hang out with us for the whole day and code, or just drop in for a bit and we'll help you with your questions. Best of all Edson will be handing out free hugs all day. 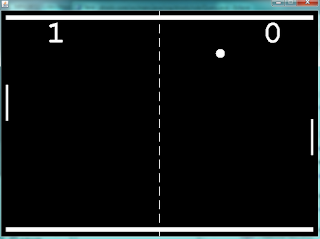 This weekend I just finished the first cut for the class game Pong. The Wumpus World example I made was well received and the 20 minute YouTube video very populate, http://www.youtube.com/watch?v=4CvjKqUOEzM. 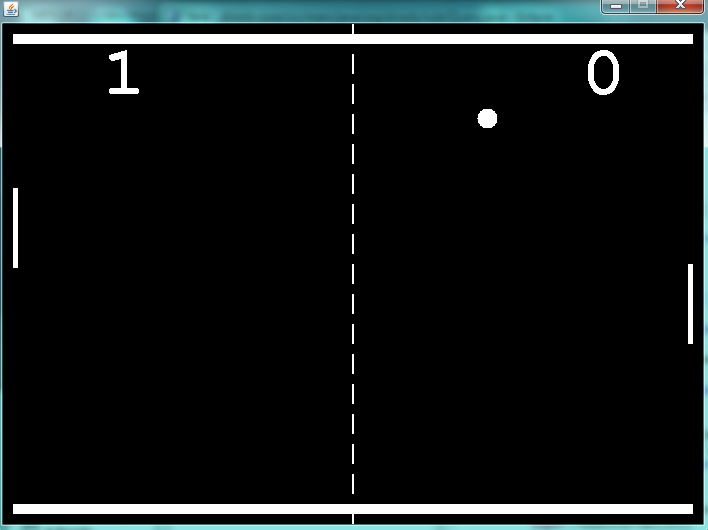 However I've since been asked for something a little simpler and smaller for a getting started example, so I thought I'd do Pong. I'll follow up with a video soon, showing how it was made. I often spend time trawling through google scholar and citeseer, always lots of gems to be found there. Here are three recent papers I thought worth highlighting that utlised Drools in an applied way. We are happy to announce that we have released version 2.1 of the jBPM Designer. This is a big release which solves many issues we had in 2.0 as well as adds lots of new features. We are especially happy that jBPM Designer will also be included in the up-coming JBoss BRMS 5.3 release. Here is a summary of what’s new and noteworthy in Designer 2.1 and we have also included a video below. Try it out and let us know what you think! Numerous bug fixes. The number of commits for bug-fixes alone was over 100 between 2.0 and 2.1. New Feature: Process dictionary support. Allows you to define your own process dictionary and use it inside your business processes. New Feature: In-Line editing of Process and User Task forms. This new feature allows you to create/modify your process and task forms in-line which is great as you do not have to leave your modelling environment to perform this feature. New Feature: Code highlighting and Code completion in Expression editors, code highlighting for process and task form editors and source views. Here is also a video for the Designer 2.1 release. You can download this version from soureforge just like the previous ones. Simply replace your existing designer war with the new one. Make sure to clear our your browser cache before starting to use the new version. As always your feedback is more than welcome. Hit us up on IRC if you would like to contribute to the jBPM Designer. Have fun! We're happy to announce the release of Drools (Expert, Fusion, Planner, Guvnor) 5.4.0.CR1. Download the zips from the bottom of the drools download page. To try out the examples, just unzip one and run a runExamples.sh/.bat script. See the JBoss Maven repository for a list of all released artifacts. It will be synced to Maven Central automatically in a couple of hours. Read the new and noteworthy changes here. Try it out and give us some feed-back (user list, issue tracker). Unfortunately, each of these have advantages and disadvantages. Let's take a look at each of them. This is especially interesting when you're migrating from a legacy system and want to avoid a big bang conversion. Slow and less scalable, because it does not do incremental score calculation. The implementation above isn't that good. Do you see how to optimize it? There's a much faster way to implement the NQueens score calculator, using Maps to avoid having to iterate through the insertedQueenList, but it makes the code even harder to understand. You have to design and write all the performance optimizations yourself. Notice the absence of incremental code, because Drools Expert does that for you automatically. Just iterate over the ConstraintOccurrence instances to explain to the user why that score was the result. Because the score of a solution is always the same, no matter how it's calculated, the only notable measurement is the calculation speed relative to the problem size. All benchmarks have be done with a warmup (to avoid JIT and DRL complication delays). Notice how the simple Java score calculator (red) does not scale at all. It starts out OK, but as the problem size gets bigger, it becomes very slow. The drools calculator (in yellow - sorry that it's not very visible) starts slow on a trivial problem size, but scales up well. If we increase the number of queens even further, it will easily by-pass the basic incremental Java implementation. There's an well-known lesson to learn there: Don't let the performance results fool you into ignoring the scalability trend. Notice the speed of the advanced incremental java score calculator (green), but don't forget that it's hard to write and to maintain the code behind it. This shows the results on 300, 600, 1200 and 2400 processes. The incremental Java score calculator also uses Maps extensively. Notice that as the problem scales out, the Drools score calculator comes closer and closer to the hand-crafted incremental Java calculator. Both NQueens and CloudBalance are one of 4 toy examples, with only a few constraints. The 9 real examples have far more constraints (leaving more room for inter constraint optimization), so I suspect the benchmark results might be different there. In his talk he highlights their adoption of DataLog for their query format, and a transition away from an SQL approach to a rule based approach. DataLog is a Prolog derivitive, http://en.wikipedia.org/wiki/Datalog. It's great to see Prolog and rule based systems for query capabilities getting more attention again. We are currently working on some proof of concepts around transactions and persistent data structures in Drools, along with OrientDB integration. So I hope we can see Drools the DataBase, via OrientBD integration before end of this summer. If you want to suggest a project, or claim a project, you have just 2 days left to do so - HURRY UP!! !